Welcome! We are Elon Dressage. An Equestrian Club Sport at Elon University. We are a competitive team that has a passion for riding and a love for horses. The Dressage Club sport rides about 20 minutes away from Elon at our coach’s barn. Girls have individual lessons with our trainer. We are part of the International Dressage Association (IDA), which is an association that allows for teams in colleges to compete with each other. There are usually 2-3 shows a semester! We strive to keep a team feel and often meet together for team dinners or activities that allow us to bond and stay close! Patrick trained his Quarter Horse mare, Honey Bright Dream, from scratch to Grand Prix. 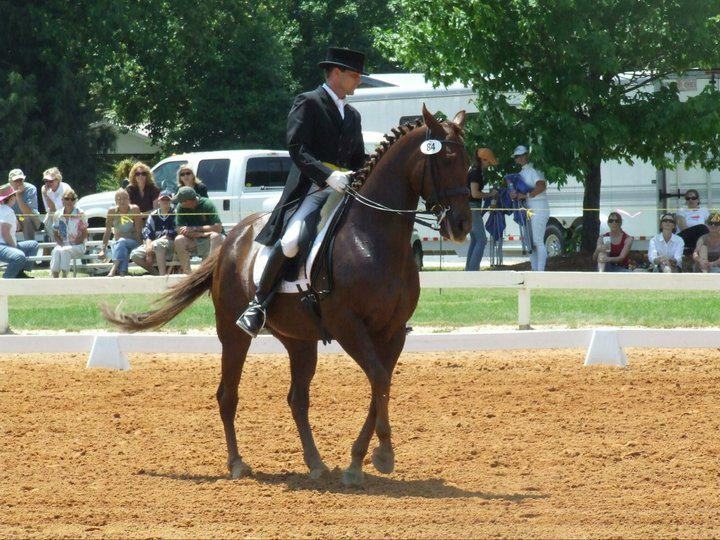 He specializes in bringing horse and rider through the levels, and enjoys working with both junior and adult riders from beginner to Grand Prix level. 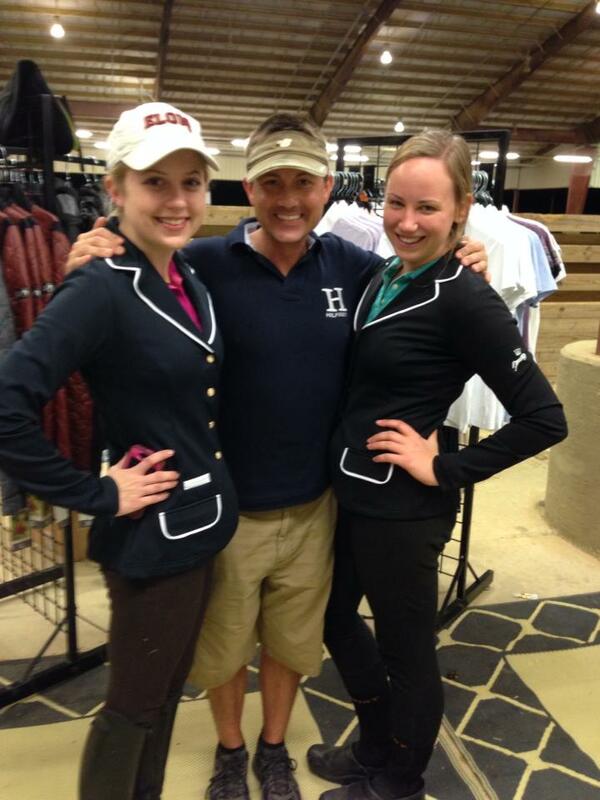 He has been the head coach of the Elon University Intercollegiate Dressage Team since 2001. The girls love to work with Patrick and many have a close relationship with him. He is a dedicated rider who pushes the girls to be their best! Patrick also encourages the girls to lease horses or to ride with their own horse! He has spots available at his barn, contact him for more information! Hi! I’m a sophomore in high school and I’m looking at colleges. I saw that Elon has this equestrian club and I was wondering if one needed to have their own horse or if they could borrow one from the stables? I would love to join this club if I came to Elon, but I don’t have the money to buy my own horse. Please let me know! There are always leasing options and options for you to ride horses from the stables! If you would like to know more information about leasing and the horses please call the coach Patrick Marley! We wish you luck with your college journey and hope to see you at Elon! Where can I find the 2015-2016 schedule? The calendar is not updated yet on the website (teamdressage.com) show dates will be posted on here soon! Hi- My daughter is a sophomore in high school and has started doing some schooling shows in dressage. She has been doing really well, winning some blues and a couple of championships at training level. In order to be accepted on the team and to show with the team, are there requirements to be met? And in order to show with the team, is it necessary for her to bring a horse there with her? If so, how can I find out cost of board? Thank you. The only thing we require to be on our team is that you love riding and horses. The IDA has various levels that riders can compete at, so she can show if she would like. However, riders do not need to show in order to be on the team. We have team dinners and get togethers with all members, so competing is not our top priority. The IDA provides the horses that we ride at shows (we do “catch riding”), so anyone can compete. There are lease options and lesson horses available, so having a horse is not necessary. If she does have a horse, you can contact our coach Patrick and he can let you know about the barns in the area/board costs.